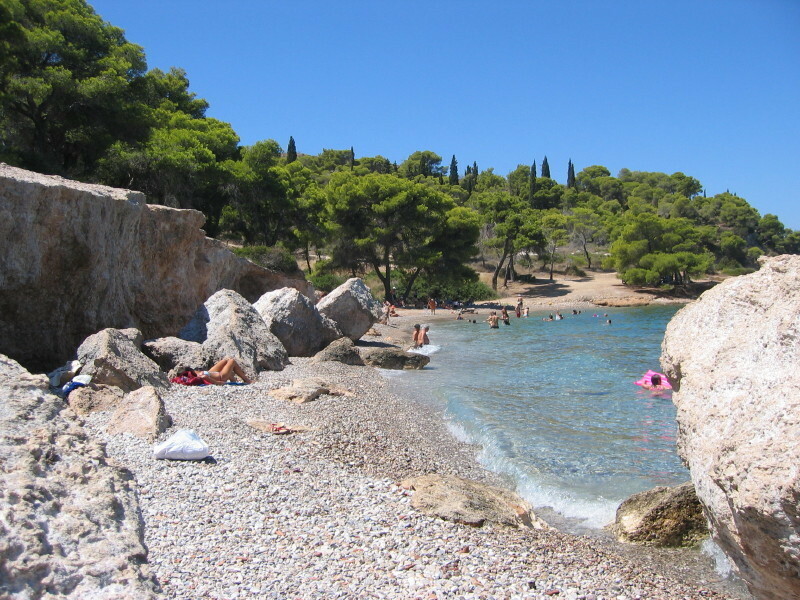 It is a mixture of pebbles and sand, with the sand being nearest, where there is also a shady area provided by one of the big pine trees. 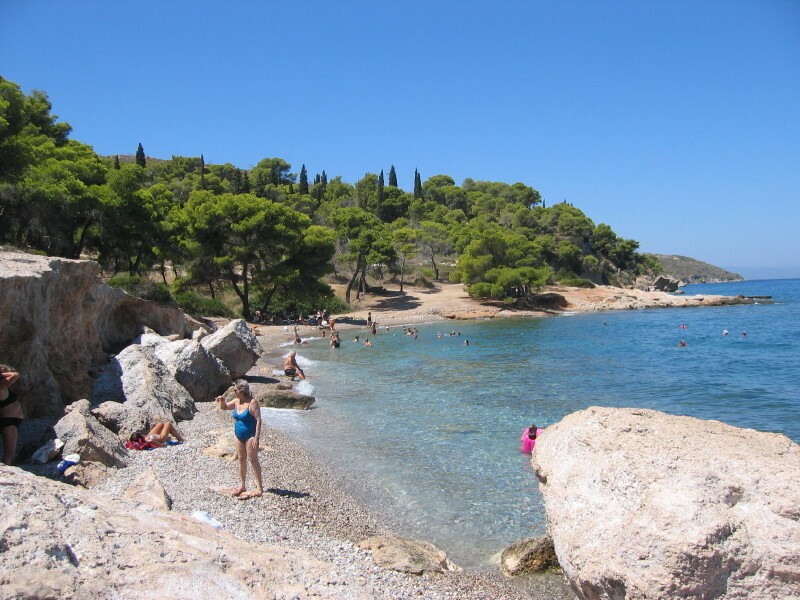 This is a popular beach with Athenians, who tend to occupy most of the villas as summer homes. 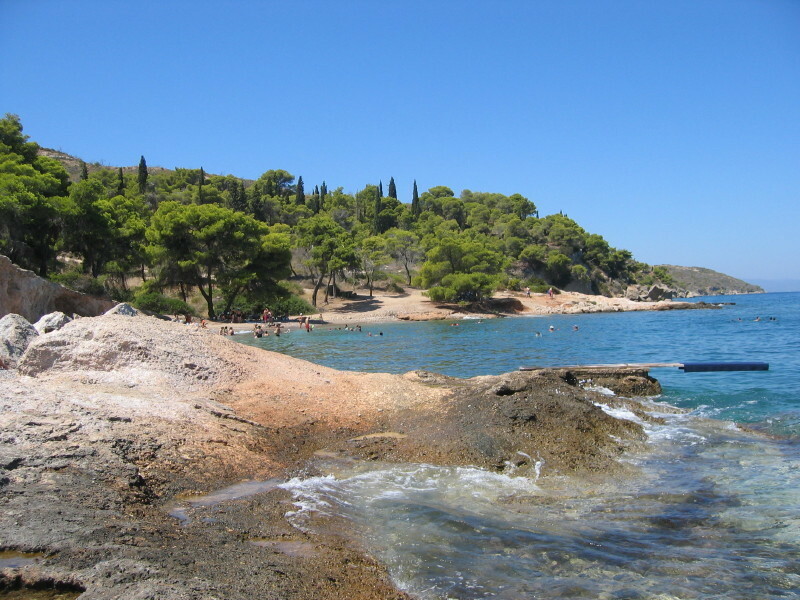 There is a also a diving board in to the sea, at the far end by the rocks. There is another adjoining bay to the left (when walking down the path) over the rocks and this is a little more pebbly, both onshore and in the water. 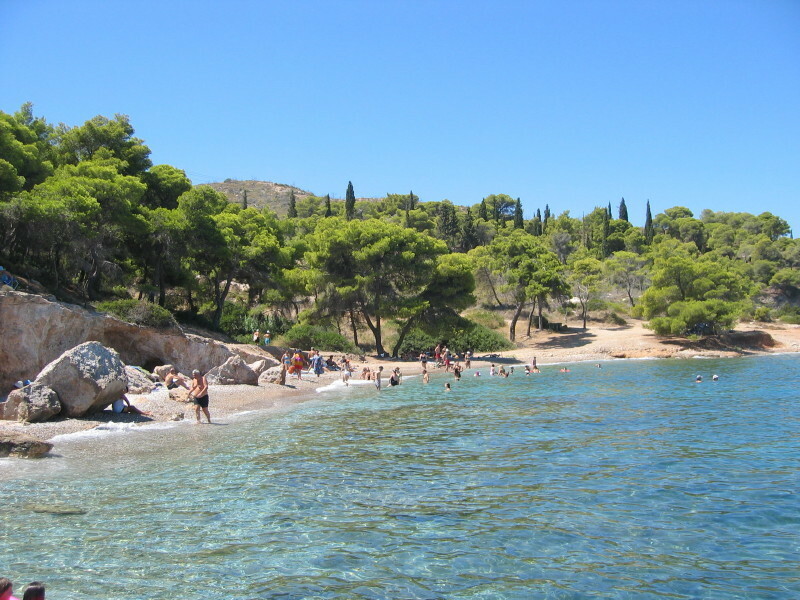 Getting to Ligonerie Beach: By bus from the Poseidonion Jetty; moped; bicycle; horse buggy from the Poseidonion Jetty; car taxi: water taxi; on foot from the town, taking approximately 40minutes to 1 hour, depending on walking speed.